While Queensland might be known for its arid inland landscapes, azure coastlines and tropical rainforests, this region, roughly three to four hours west of Rockhampton, offers up some lesser known, but equally breathtaking attractions. Considered to be the hub of the Central Highlands, Emerald will whet your appetite for the region’s stunning natural features, with its lush emerald-green hill rising above the town and the unmissable fields of white cotton, green pastures of chickpea and huge crops of red sorghum that surround the town. Emerald is also well-known for it’s fascinating natural insights into the region’s history. Visit the Emerald Town Hall to see the 250-million-year-old fossilised tree that still stands outside the building before taking the Capricorn Highway further west towards Anakie. Along the way, stop by the Fairbairn Dam and Lake Maraboon for a spot of angling. With barramundi and red claw crayfish among the lake’s inhabitants, drop a line in the afternoon to cater for a delicious dinner. Anakie is another wonderful place to take the caravan. There are lots of caravan parks all over town, all right on the doorstep of The Gemfields. It’s here that countless sapphires have been (and continue to be) mined and where you’ll find one of Australia’s classic big icons – the Big Sapphire. 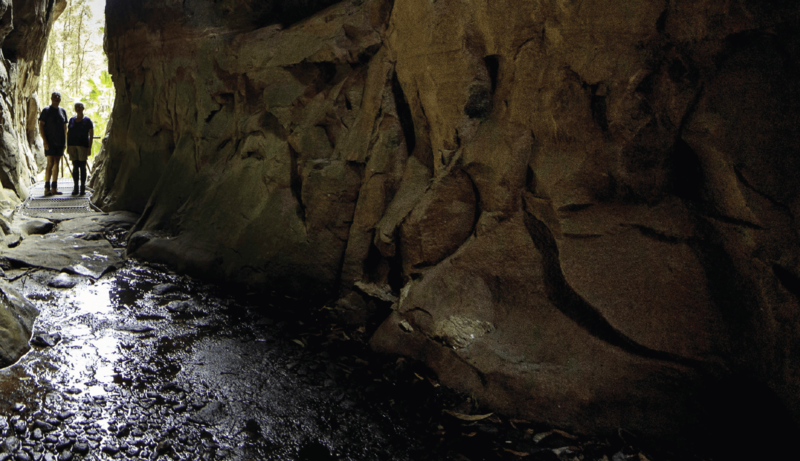 Right in the middle of The Gemfields in Rubyvale is the Miners Heritage Walk-in Mine – the largest of its kind in Australia – which takes visitors deep into the tunnels of the mine, accompanied by knowledgeable miners turned tour guides. Walking through the mine and the underground museum will teach you all about the mining of sapphires and the stories of those who mined them. After the tour, try your hand at fossicking for sapphires and zircon!